Are you struggling to get people to see your content? And most importantly, how much of your traffic is truly of high-quality? Lately, I’ve started to use Quora quite a bit – what started as fun, turned into quite the surprise; not just traffic – but very high-quality traffic! In this blog post, I’m going to show you how to use Quora to drive traffic to your website. 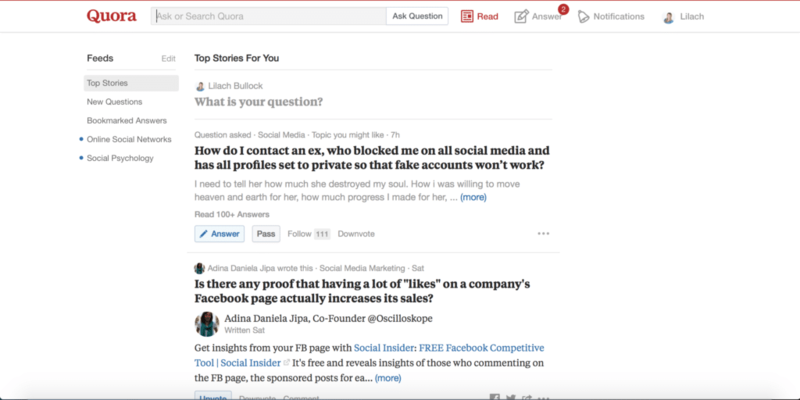 If you’re unfamiliar with Quora, it’s basically a Q&A platform – remember Yahoo! Answers? It’s similar to that, only much, much better. Quora have managed to build a great community of people, where you can find amazing, truthful answers to all kinds of questions. You can find questions about everything; from personal questions to business-related, there is something for everyone and for every niche. When I first started using it, it was more for the fun of it; it’s a dangerous place, Quora. You might find yourself reading a question about how to create the perfect Facebook Ad and next thing you know, it’s 2 hours later and you’re close to tears, reading about people’s first loves. Anyway, after spending some time reading questions and answers on the popular platform, I decided I was going to start answering too. 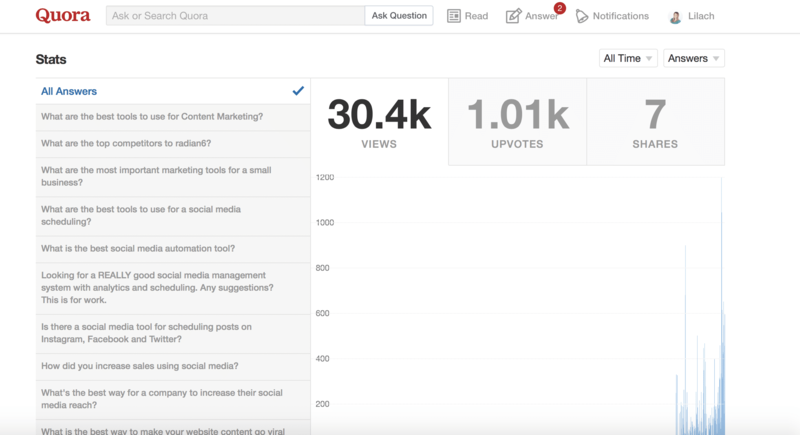 I didn’t think too much of it in the beginning, but just a week later, when I checked my analytics, I was blown away – not only did I already start getting traffic from Quora, but all of the traffic from Quora was of very high quality. 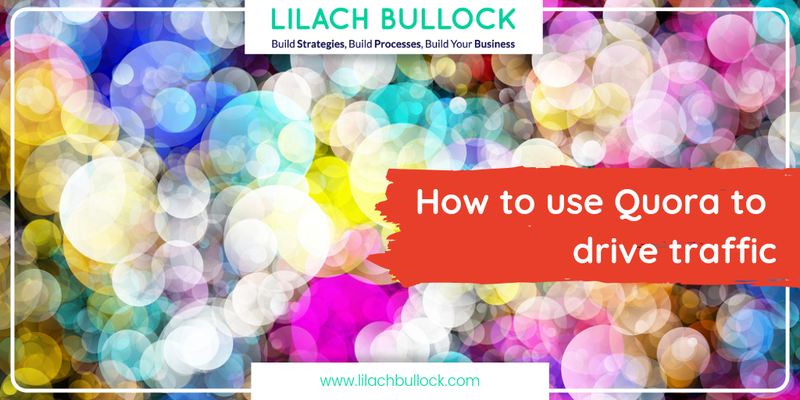 They spent upwards of 5 minutes on my website and, most importantly, they took action – they downloaded freebies, they browsed the website at length and so on. And the benefits to using Quora don’t end here; for one, it’s a great source of long-term traffic. The questions you answer don’t disappear after a few days; in fact, many questions last for years and they’re constantly updated with new answers. Quora can also help establish your authority in your niche. As you help people with thoughtful, educational answers, you will grow your profile and your authority with it. People will see you as someone who knows what they’re talking about and who is also willing to help. Before your start answering any questions, it’s important to note that if you’re not careful, or if you’re overly promotional, you’re quite likely to get your account banned. And, unfortunately, there is no warning before that happens. And from my own research, it seems like they rarely re-instate banned accounts. So, be careful how you answer – don’t link to the same things over and over again, and most importantly, when you answer questions, try to be helpful first. If the link you add is truly relevant to the question, and it helps bring value to your answer, then use it. Otherwise, you should refrain from linking to your website or blog just for the sake of it. When you find a question you want to answer, make sure to check the other answers as well before; don’t repeat the same things others have said, try to bring your own, personal input to the question. It also helps to write long answers, with lots of helpful screenshots and other images. Basically, you need to write short blog posts, of at least 300 words. But, first look at the other answers as well: if they’re all very short, then just try to write a longer one than them, but if they’re quite long, then attempt to write just as long an answer – but only so long as it’s not fluff, but actual relevant, helpful information. And most importantly, if there’s one thing to remember, it’s this: always strive to be helpful. In order to start driving content from Quora, you first need to have great content that you can link to in your answers; look at your blog – what is your best content? Which blog posts are the most helpful and informative? Then, when you have a list of top content that you can link to, you can start searching for questions where these links would work. This way, you’ll be able to see all of the latest questions and answers in that topic and have them appear on your main page. To see the latest questions in that topic, click on Answer on the topics main page. Then, next to each question, you’ll be able to see when it was posted. Ideally, it’s best to jump on new questions and be the first, or one of the first people to answer. You will then be able to see how many followers to question has, as well as how many views, and the last time it was asked. Try to answer questions with over 1000 views, where possible – those are the most likely ones to get you the most eyeballs on your answer, as well as traffic. Make sure to browse through all of the different topics that match your keywords and follow them, so that you’re consistently getting new questions to answer directly in your feed. If you click on “Questions for you”, you’ll get suggestions for similar questions to the ones you’ve already answered. And, under Answer Requests, you’ll find all of the questions that you’ve been asked by other Quora users. As you find some good questions, it’s time to get down to business and start answering them. As I mentioned earlier, the most important thing to do here is to be as helpful as possible. Don’t think of how you can incorporate links into your answer first and foremost; focus on writing the best possible answer, and then direct people to your blog so that they can read more, if that’s what they want. Try to give enough in your answer that it provides value, but make the readers want more, so that they’ll click on your link as well. Make sure to also use as much imagery as possible in your answers, particularly screenshots. For one, it makes your answers easier to read and, secondly, screenshots bring more value to your answers. It shows you took your time and it makes it easier for the people reading your answers to understand your point of view – just like with blog posts. Then, the only thing to do, is to keep up the good work – try to answer questions as often as possible, and use different blog posts that you want to promote. In time, you’re going to start seeing results; make sure you measure them on Google Analytics. What’s great about Quora (well, apart from all the other benefits I’ve listed earlier!) is that you can start getting results quite quickly – in fact, I’ve started getting traffic from Quora within the first 2 weeks of using it, and great traffic at that. Quora can be an amazing source of traffic for your blog and website; not only that, but it helps drive traffic for the long term and it also helps improve your online profile and your influence online. Are you using Quora? If so, what results are you getting from it? Hi Lilach, I’ve really upped my game there on Quora but am NOT driving traffic to my site. I’m a little baffled by it. I do answers questions and for a while was doing it daily. I was in the 10 for Twitter for a while but then dropped off. I haven’t done a blog post there like I see some folks doing, is that what I am missing? It seems weird, asking a question and then answering it with a blog post to link to your longer post on your own blog. I do like the site and love the mobile app. Thanks for the tips Lilach. Thanks for your comment Lisa. Hmmm, good question. I’m driving traffic from answering questions (I’ve not yet done a blog post there). Although some of my questions are longer answers. How much time are you spending on it? Hi Lilach, about 20 minutes per day I would saw. I ‘ve been using images too – screen shots in my answers. I don’t my answers are too long – maybe that’s the issue? I have answered 50 questions to date over the years, most coming recently. Thanks! Hi Lilach, yesterday I had 10,000 views on my answers. I have just over 300 followers. I do some screenshots in my answers if applicable. Still not generating traffic but I don’t always put in any links. I want to be sure they are relevant so I don’t become spammy there. Thanks Lilach! Your post is timely as I, too, started using Quora recently. I’m glad you wrote the “how to” and what “not to do” so I don’t end up in Quora jail. Will definitely spend a bit more time there knowing it can generate traffic to my site. Being in Quora jail is akin to getting the Google de-listing of several years ago. Tread lightly but carry a long meandering wordy answer to easy questions. I am also planning on writing about Quora. I was planning an update to a post I’d already written. Your article is comprehensive. Thank you. Tweeting! Thanks Janice 🙂 Look forward to checking yours out too! Thanks Bjorn, my pleasure 🙂 Yes, love Quora – it’s a fantastic way to drive highly targeted and quality traffic… for free! This is very helpful. Great Article. I am starting to get active on Quora and agree that it brings quality traffic. The few visitors I received actually sign-up to my newsletter and are spending more time reading my blog posts. Wow, great results from Quora! 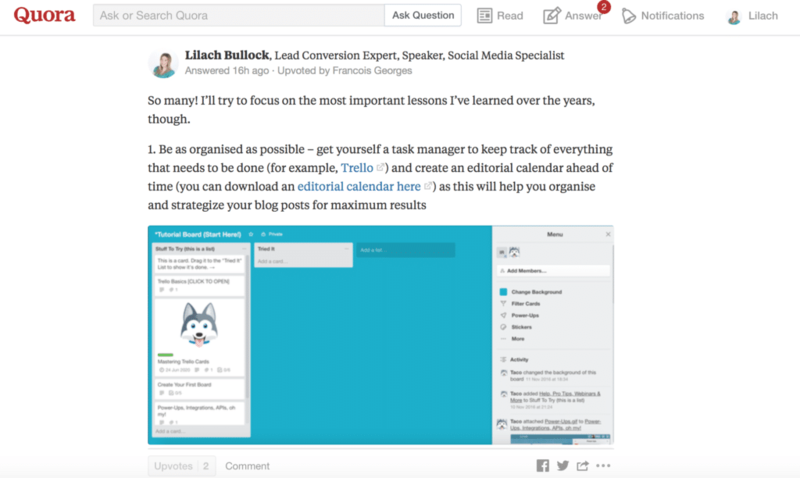 Helpful blog post and I’m looking forward to the traffic that Quora could bring to my blog!